POP Club is open to kids age 3-12 and is FREE! 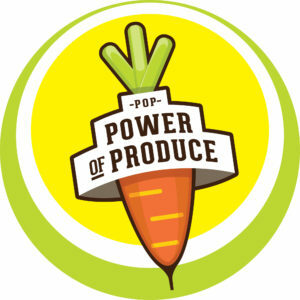 Bring your kids to the Power of Produce booth near the Information booth at market. They will receive a POP Passport and the fun begins! 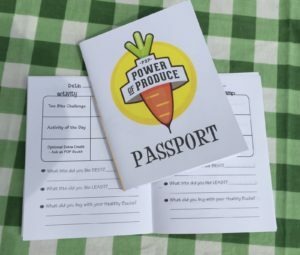 Each week kids complete activities and earn stamps in their passports. 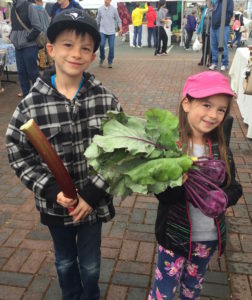 Stamps earn them money to spend of fruits and veggies at market! They will taste new vegetables, learn about soil, nutrition, locality, seasonality, explore the market, play market bingo and more. We are currently seeking donors and sponsors to expand this great program. We have depleted our funds and the club is still growing fast! Success is wonderful but we have quickly depleted our supplies and materials. 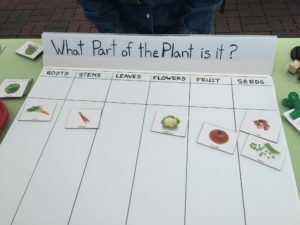 Funds received will be put toward completing and printing lesson plan materials (sturdy materials that hold up outdoors in wind and rain), printing more passports and handouts, purchasing vegetables from farmers for tastings, and the small prizes we use as incentives (buttons, temp tattoos).